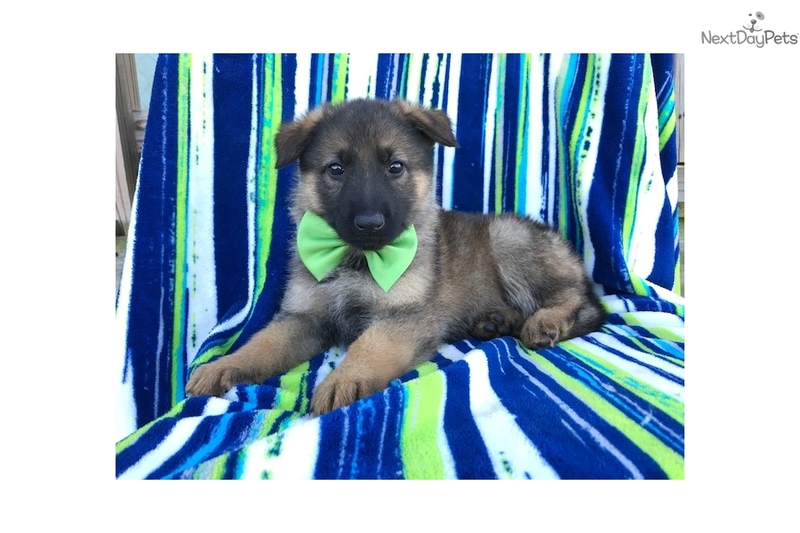 This German Shepherd nicknamed Tank sold and went to a new family. Come and meet Tank! He is a super smart and sweet AKC registered German Shepherd and both parents are hip certified. Fully grown should be between 65 and 88 lbs. These pups are often the preferred breed for many types of work, including disability assistance, search-and-rescue, police and military roles, and even acting! He is family raised, vet checked, de-wormed, current with his vaccinations and he also comes with a one year genetic health guarantee! If you want to have him flown out to you, delivered by car or come and meet him in person feel free to text or call. We have scheduled appointments available Monday - Saturday from 9 am to 9 pm.